Twenty-four nations will go head-to-head across 12 ties. The winning teams of this week-end ’s Qualifiers will secure their spot in the inaugural Davis Cup Finals next November in Madrid. On 18-24 November 2019. We provide some of the highlights of this weekend’s matches. 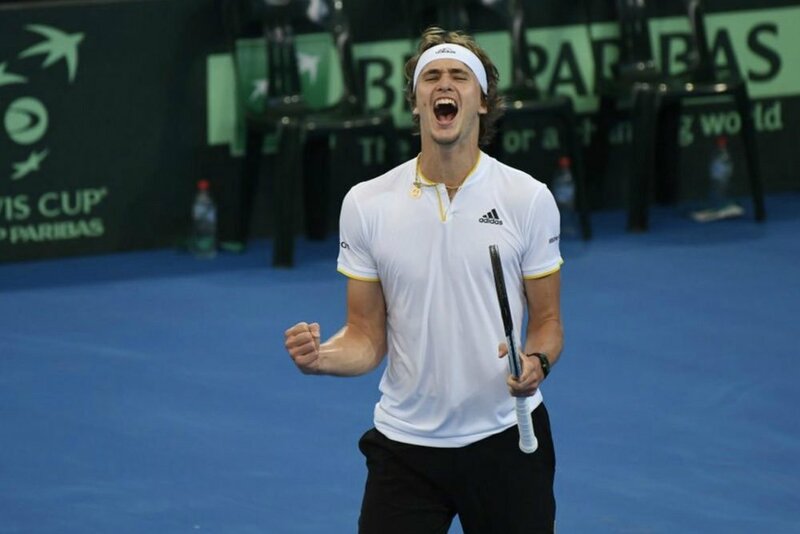 Alexander Zverev will be the stand-out name in the Davis Cup Qualifiers this weekend. The world number 4 and 2018 ATP Finals champion will lead Germany against Hungary at the Fraport Arena in Germany. Zverev will be joined by Phillip Kohlschreiber, Jan-lennard Struff and Peter Gojowczyk and doubles specialist Tim Puetz. 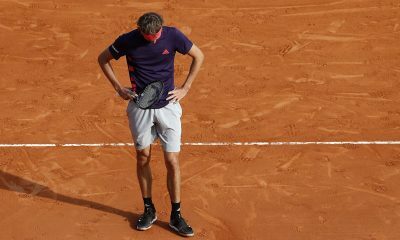 Zverev, who will be looking to bounce back from his fourth round defeat at the Australian Open, has a mixed record of four wins and four defeats in his previous appearances in the Davis Cup. Germany is favourite against an Hungarian team which will not feature its best player Marton Fucsovics. Germany will meet Hungary for the sixth time in Davis Cup, but it will be their first clash in 41 years. Kohlschreiber will play in the first rubber match on Friday against world number 371 Zsombor Piros. Alexander Zverev is the strong favourite against a familiar name Peter Nogy, who beat the German at Future level. Jan Lennard-Struff and Tim Puetz, who are unbeaten in the three Davis Cup doubles ties they have played together, will face Gabor Bosos and Peter Nagy. This year’s Sydney ATP 250 champion Alex De Minaur leads the Australian team against Bosnia Erzegovina at the Memorial Drive Tennis Club in Adelaide. 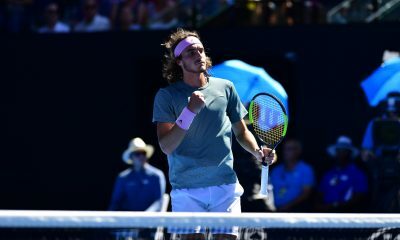 The team captained by Lleyton Hewitt also features John Millman, Jordan Thompson, this year’s Australian Open doubles finalist John Peers and Alexei Popyrin, who will make his debut in the Davis Cup after reaching the third round at the Australian Open. World number 47 Damir Dzumhur and Mirza Basic lead the Bosnian team. Millman will play against Dzumhur in the first match on Friday followed by the second round match between De Minaur and Basic. Peers and Thompson will take on Basic and Brkic in Saturday’s doubles match. The Saturday’s programme features two singles matches (De Minaur vs Dzumhur and Millman vs Basic). 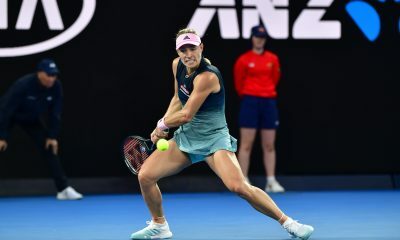 Thirty-year-old Australian doubles specialist John Peers thinks that it is going to be a fascinating weekend of tennis. “It will be a very intense tie. It will be interesting to see the workload of the guys making the switch from five sets to three sets. It will be the first time we have seen it at the very top level of Davis Cup, so it will be interesting to see how the guys handle that one, whether it changes their mindset if they play all the three rubbers. It could be a longer day on Saturday or it could be a quicker day”, said John Peers. A strong Italian team featuring 2018 Roland Garros champion Marco Cecchinato, this year’s Sydney finalist Andreas Seppi, Matteo Berrettini, Thomas Fabbiano and doubles specialist Simone Bolelli starts as favourite against India in Kolkata on grass. The Indian team capatained by Mahesh Bhupathi is led by world number 109 Prajnesh Gunneswaran. India scored their only win against Italy in their five head-to-head matches in 1985. The home team features Ramkumar Ramanathan, Saketh Myeni, doubles specialist Rohan Bopanna and Divij Sharan. World number 37 Seppi will face Ramanathan in the first singles match on Friday. “Playing at home is an advantage for us. I have to try and stay aggressive and hopefully the team wins in the end”, said Ramanathan. In the second match Gunneswaran will take on Berrettini who will make his debut in the Davis Cup. “It’s gonna be my first time and I am very excited to play. I played Ramkumar last year. 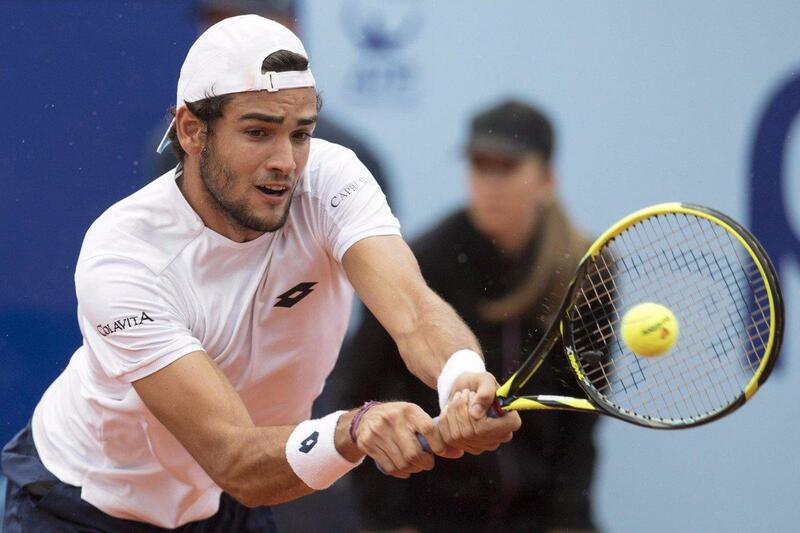 So I know him quite well and it’s gonna be a tough match especially on grass”, said Berrettini. In Saturday’s doubles match Bopanna and Sharan will clash against Berrettini and Cecchinato. Italy won their previous Davis Cup ties in 1928, 1952, 1958 and 1998 and lost only one match on grass in Kolkata in 1985. A strong and young Russian team featuring world number 11 and 2018 Paris Bercy champion Karen Khachanov, number 19 Danil Medvedev, Andrey Rublev, Evgeny Donskoy and Konstantin Zhzhenov will start as favourite in the Swiss town of Biel against a Swiss team, which includes world number 142 Henri Laaksonen, Marc Andrea Huesler, Jakub Paul, Sandro Ehrat and 15-year-old debutant Jerome Cyrill Kim. Switzerland meets Russia for the first time since 2002. Medvedev reached the round of 16 at the Australian Open and won a set against eventual champion Novak Djokovic. 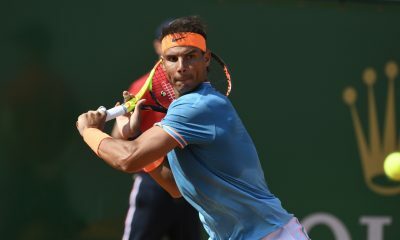 In the first Friday match the Russian 22-year-old player will face Laaksonen, who reached the second round in a Grand Slam tournament for the first time in his career. “I like the new Davis Cup format. It’s like blitz chess. We have the chance to win it”, said Medvedev. Two Next Gen players Denis Shapovalov and Felix Auger-Aliassime plus Peter Polansky will lead Canada against Slovakia at the NTC Arena in Bratislava. The stand-out name of the Slovakian team is world number 40 and former Rotterdam champion Martin Klizan. Russia has not won the Davis Cup since 2006. As Milos Raonic and Vasek Pospisil will be absent and Daniel Nestor has now retired, Canadian hopes will be carried by a young team led by Shapovalov and Auger Aliassime. Shapovalov will play in the inaugural match against another young player Filip Horansky in the first Friday’s match. Auger Aliassine will make his debut in the Davis Cup against Martin Klizan in the second Friday’s singles match. An all- Next Gen team Shapovalov and Felix Aliassine will play in the doubles match against Filip Polasek and Igor Zelenay. “I remember when I and Denis were part of the team that won the Junior Davis Cup, we had messages of congratulations from Milos and Vasek. 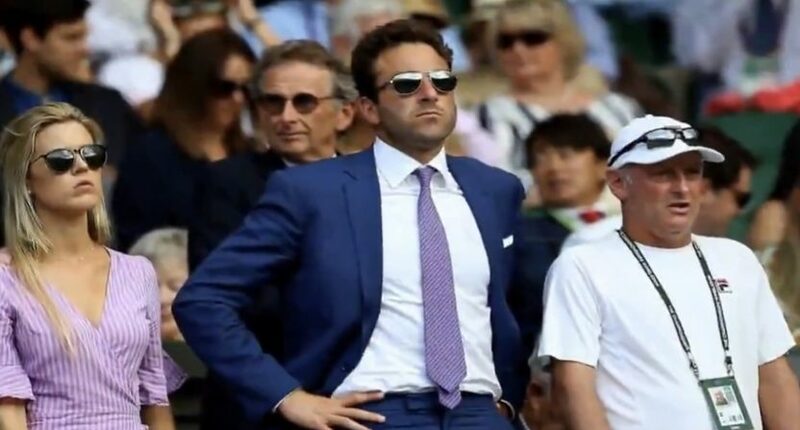 We both said it would be great one day to be leading the team in the Davis Cup. The dream has become a reality and it’s great to have a friend in Denis alongside me this weekend”, said Auger Aliassime. Japan will not feature Kei Nishikori, who is still recovering from the thigh injury he sustained at the Australian Open, but Japanese captain Satoshi Iwabuchi has named a talented team for the Asian tie against China in Guangzhou. Japan includes world number 66 Yoshihito Nishioka, who won the Shenzhen Open last year, Taro Daniel and doubles specialist Ben McLachlan. Nishioka will face world number 262 Li Zhe in the first match. Taro Daniel will face Zhang Ze in the second rubber match. 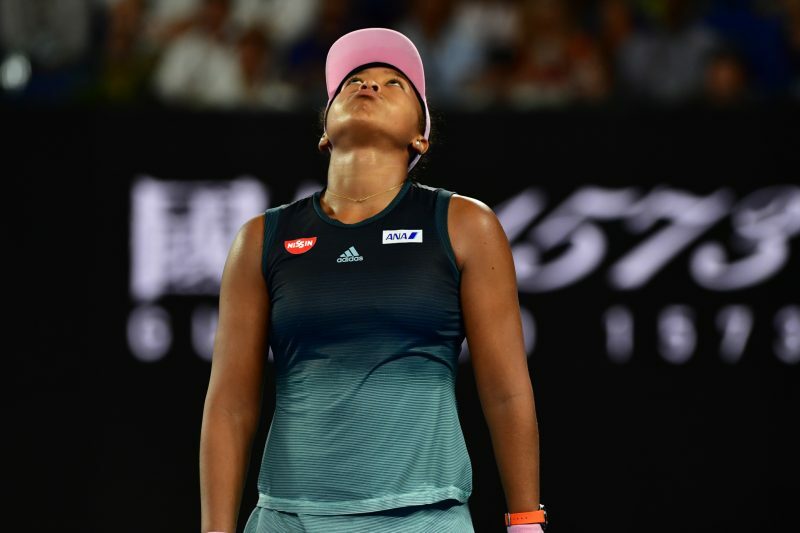 Japan is hoping that Naomi Osaka’s recent triumph at the Australian Open will serve as inspiration for this weekend’s Davis Cup match. Czech Republic will face the Netherlands in a tie, which features a mix of young and experienced players. Jiri Vesely will face 22-year-old Dutch player Tallon Griekspoor. World number 130 Lukas Rosol will take on Robin Haase, who made his debut 13 years ago. 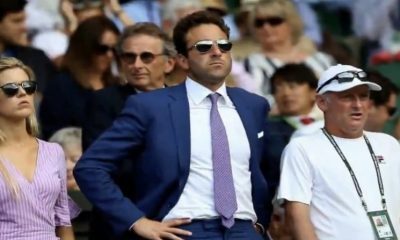 “After Tomas Berdych and Radek Stepanek finished their careers we have to change a bit the teams with the young players. That’s why I bring two young players. They improved the last years very well. So I hope they gain experience with our team. I hope in the future they will come to the team”, said Czech team captain Jaroslav Navratil. The Brazilian team captained by Joao Zwetsch will host the team against two-time finalist Belgium in Uberlandia. Belgium won all three of their previous Davis Cup ties with Brazil. The home team features Thiago Monteiro, who won a Challenger title in Punta del Este last week, Rogerio Dutra Silva and a very strong team formed by Bruno Soares and Marcelo Melo. Belgium will not feature David Goffin and veterans Ruben Bemelmans and Steve Darcis, who helped Belgium reach two finals in 2015 and 2017. Dominic Thiem will not feature in the Austrian team, which faces Chile on the indoor clay of the Salzburg Arena. Chile won all their previous three ties against Austria. Thiem withdrew from the Davis Cup tie following his retirement from the second round match at the Australian Open. Austrian captain Stefan Kobek has named teenager Jurij Rodionov, who will make his debut in the Davis Cup in the inauguaral rubber match against Chile’s world number 41 Nicholas Jarry. Austrian Dennis Novak will face 22-year-old Chilean player Christian Garin. Austrian strongest hopes are set on Saturday’s doubles match, where Jurgen Melzer and Oliver Marach will play against Julio Peralta and Hans Podlipnik Castillo. “Without Dominic we are a different team. He is a top 10 player and if you have him in the team it’s a different story, but we are strong enough to play against Chile”, said Stefan Koubek. Serbia will travel to Tashkent to face Uzbekhstan on indoor court in Tashkent. These countries will face for the first time since 2009, when Serbia won 5-0 in a World Group play-off in Belgrade. Dusan Lajovic will play against Uzbeki’ world number 424 Sanjar Fajziev in the first Friday’s singles tie. World Number 72 Filip Krajnovic will face world number 104 Denis Istominin. Viktor Troicki and Nikola Milojevic will take on Istomin and Fayziev in Saturdays’s doubles. Seven-time champions Sweden will make a very long trip to Bogotà to face Colombia on an indoor clay court. 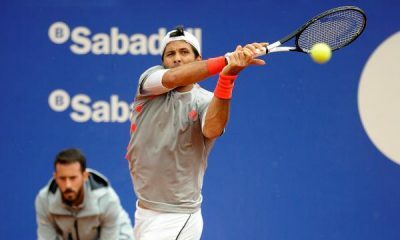 Colombia will rely on one of the strongest doubles teams formed by Juan Sebastian Cabal and Robert Farah. “It will be huge. It’s been our goal now to be in the World Group, but with the old format we were not able to make it. We played a play-off tie six times in 2010, 2013, 2015, 2017, 2018, and we were always only a couple of points away in a couple of ties. For us it is a good chance to finally make it to the top level. It’s a big monkey on our back right now for Colombia as a team. I feel like to give that happiness to the crowd, to the country will be very good for us”. Sweden rest its hopes in brothers Elias and Mikael Ymer. Elias has won five of his last seven Davis Cup ties, while Mikael has won five of his six singles matches. Elias will play in Friday’s first match against Santiago Giraldo. Mikael will take on Colombia’s number 1 player Daniel Galan. Cabal and Farah will meet Sweden’s Robert Lindstedt and Markus Eriksson in Saturday’s doubles match. “Of course, I would be lying if I denied that. It’s something we dreamed of since a young age. Seeing Venus and Serena Williams and Andy and Jamie Murray and watching Davis Cup live at the age of 10, sometimes you have to stop and remind yourself like: “Wow look how far we have come. Every time we put the Swedish shirt on our body it is always very emotional”,said Mikael Ymer. Portugal will face a very tough task against Kazakhstan, who have won 10 of their 11 home ties in Astana. The Kazakh team fields world number 52 Mikhail Kukushkin, Alexander Bublik, Alexander Nedovyesov, Denis Yevseyev and Timur Khabibulin. 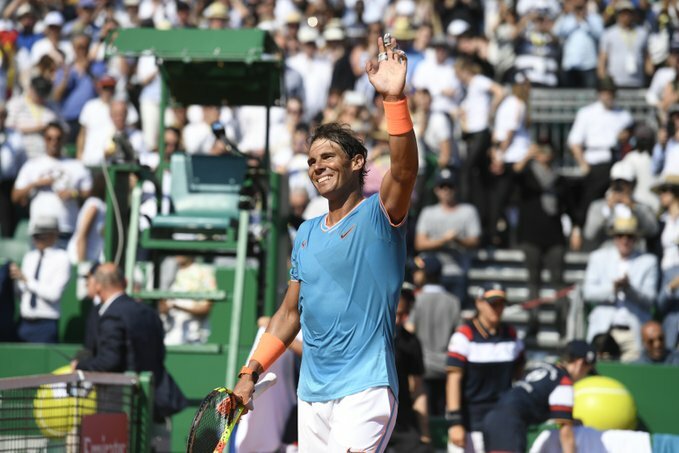 Portugal will be looking to reach the Davis Cup Finals after achieving their best result at this event in 1994 and 2017, when they reached the World Group Play-Off. 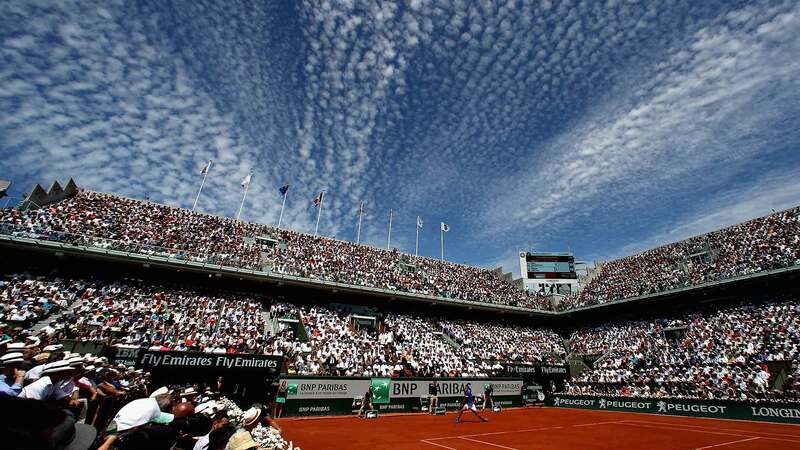 Portugal’s world number 39 Joao Sousa is the highest ranked player to take part in this tie. The Portuguese team also fields Pedro Sousa, Joao Domingues and Gastao Elias. “We are expecting a tough tie. We are playing away, so we are expecting a strong team from them. For them it’s going to be a tough one for us. We will prepare as good as we can, we will give our best and we will try to win”, said Sousa.